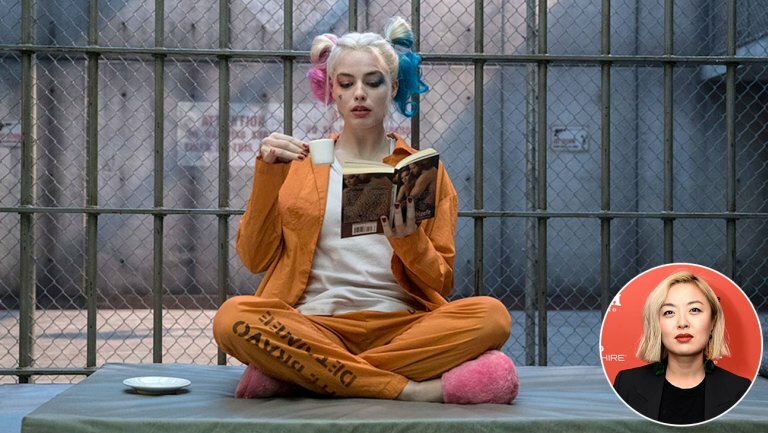 Cathy Yan has been tapped by Warner Bros and DC Entertainmen to be the director of an untitled girl gang movie, expected to be based on Birds of Prey and starring Harley Quinn, portrayed by Margot Robbie. First reported by Deadline, this will make Yan the second female filmmaker direct a DC film after Wonder Woman‘s Patty Jenkins and the first female Asian director ever to direct a superhero film. Yan was chose over other well established male directors, with Robbie reportedly insisting on a female director for the project. Yan's first feature was the indie film Dead Pigs, which won the World Cinema Dramatic Award For Ensemble Acting at Sundance last January. Yan was a Wall Street Journal reporter, before transitioning to film, and one of the paper’s youngest reporters to land multiple stories on the front page. She made several short films before Dead Pigs. Her presentation for the Birds of Prey project was reportedly exceptional. The currently untitled film is based on Birds of Prey, which teams up Harley Quinn with several other crime fighters, most notably Black Canary, Barbara Gordon (Batgirl) and Huntress. It is not clear at this time which characters will be involved in the film. The screenplay was written by Christina Hodson, whose credits include Unforgettable, Shut In, and Bumblebee. She was also just brought on board to write the Batgirl movie. This film is expected to begin production sometime around the end of the year or early next year, once Robbie has finished Once Upon a Time in Hollywood.